Orishas are the most famous hip-hop group to come out of Cuba. Forming in the early ‘90s in Paris, the group released their debut album A Lo Cubano in 1999 to international acclaim. The full-length led to a long-term association with the Universal Latino record label, as Orishas returned to Cuba for a hugely successful tour that drew thousands. Following their explosive debut, the group continued to release widely popular albums throughout the ‘00s: Emigrante, El Kilo, Cosita Buena and the triple-disc, Grammy-nominated compilation Antidiotico confirmed their status as Cuban’s premiere hip-hop export, building a considerable fanbase around the world. The group have sold over 750,000 records in Europe, earning themselves a Latin Grammy award for Best Urban Song in 2007. 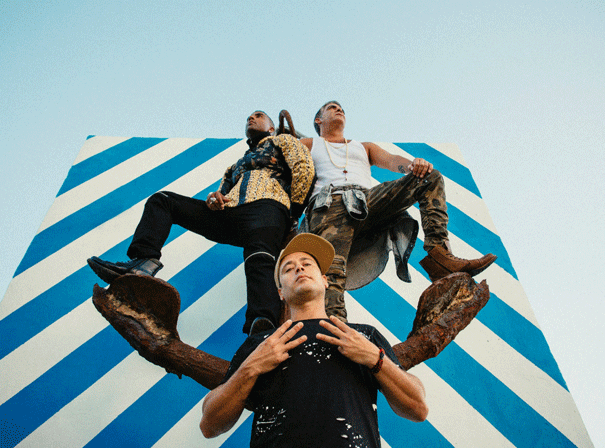 With rhymes that merge the political and the poetic, Orishas have carved out a unique niche as a conscious hip-hop group unconcerned with the typically aggressive mode favoured by conventional artists. Their beats incorporate Afro-Cuban rhythms with a classic boom-bap sound, layering melodic vocals and politically-minded lyricism over beats that fuse Latin and American contexts. After several international tours that saw the group perform at festivals in Europe and Latin America, Orishas briefly disbanded, only to return in 2016 with a series of well-received singles and a fresh new sound. These releases preceded their fifth album, Gourmet, released in 2018 on Sony Music Latin with guest contributions from Jacob Forever, Franco de Vita, Silvestre Dangond, Beatriz Luengo, and Madcon. Orishas have supported the release of Gourmet with a sold-out international tour, taking in dates across Latin America, Europe and Cuba and proving that their pioneering brand of Cuban rap fusion is still in high demand.